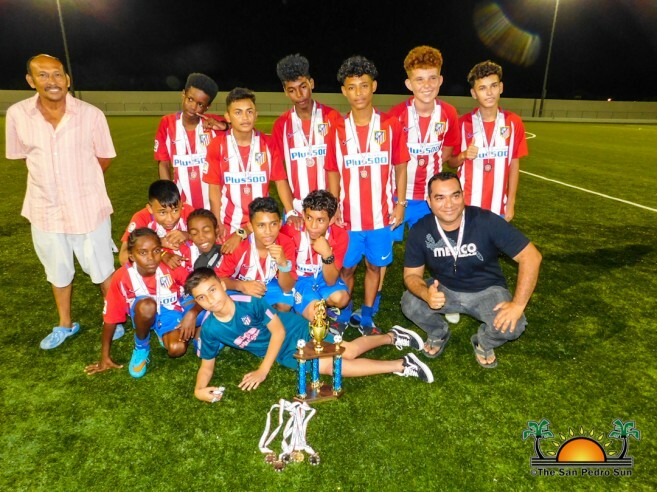 The first championship match was in the Under-15 (U-15) category, which saw Los Catrachitos going against Atletico Madrid. 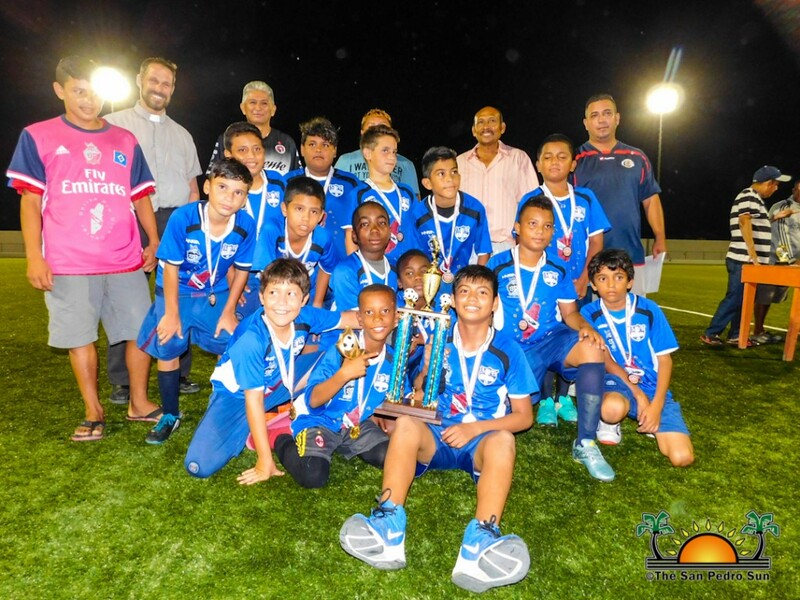 The match ended in a 2-2 draw, and so they moved to the penalty rounds to declare a champion. With a final 4-2 score, Los Catrachitos took the championship in the U-15 category, and Atletico Madrid settled for second place. 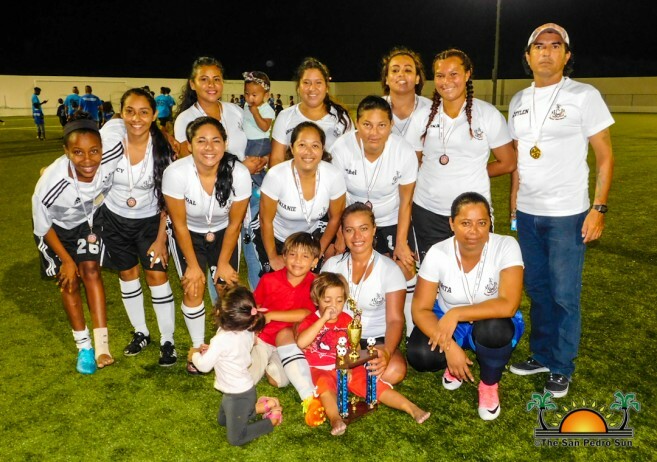 The last match of the night saw Ambergris Combined Forced easily taking the female championship with a 4-0 score against Island Warriors #2, who had to settle for sub-champions. After the games, Councilor Hector “Tito” Alamilla congratulated all the teams that participated and issued the awards and trophies alongside with Deputy Mayor Ruben Gonzalez. 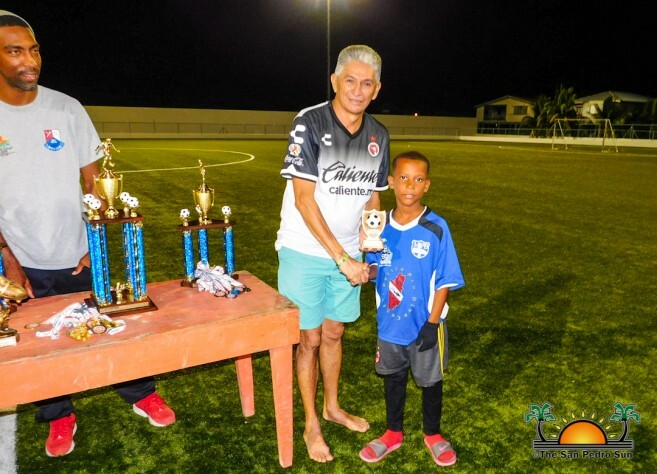 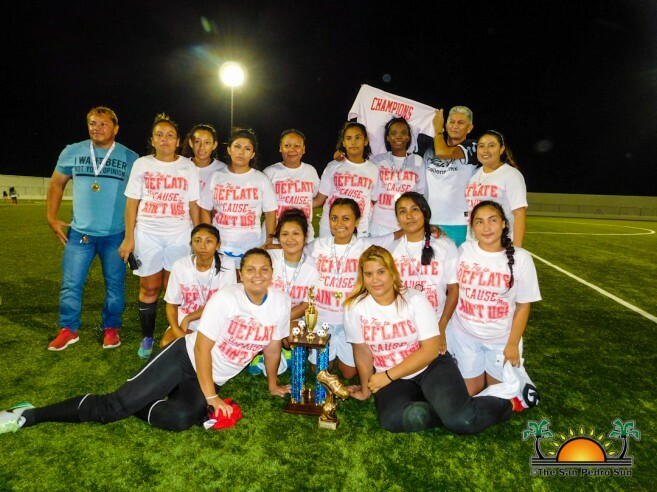 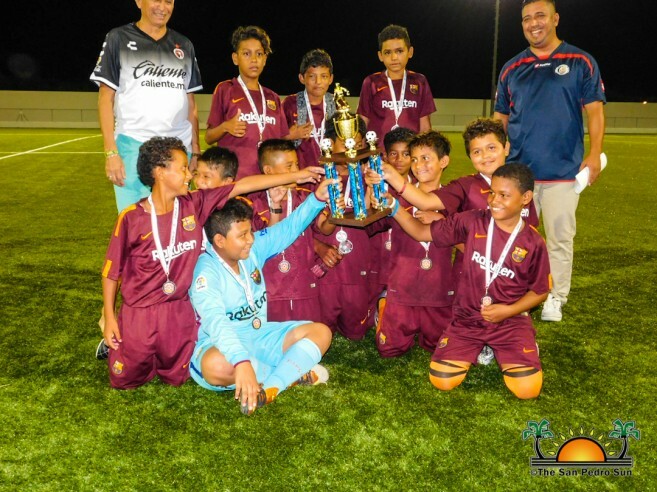 The first Place Trophy for the Under-13 (U-13) category went to San Pedro Pirates F.C who became the champions on Thursday, May 10th. San Mateo F.C took the second place trophy. 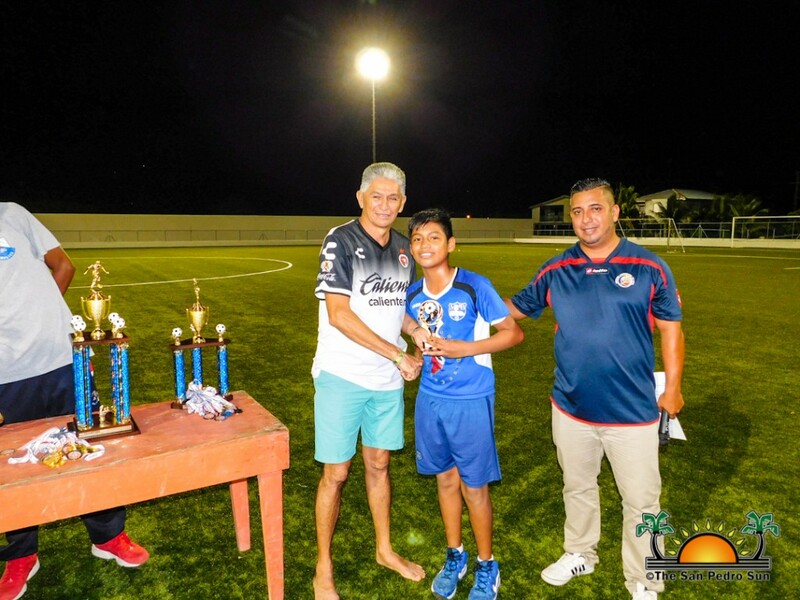 In the U-13 category, the “Best Goalkeeper” awards went to Jaheem Martinez and Malaki Castillo from the San Pedro Pirates F.C. 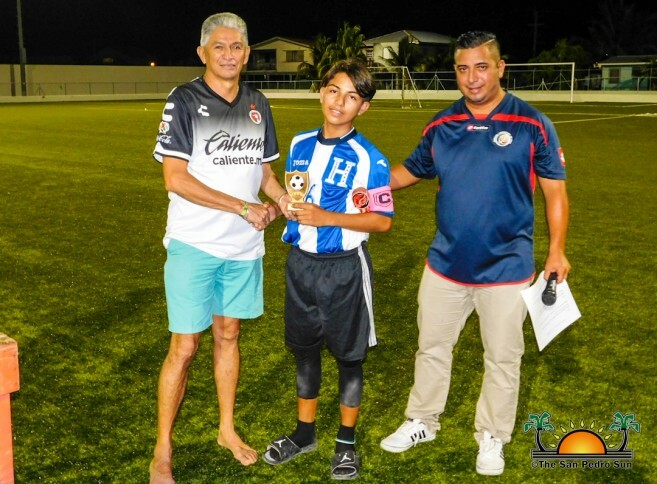 The “Most Goals” in the U-13 category went to San Pedro Pirates F.C Devan Sanchez. 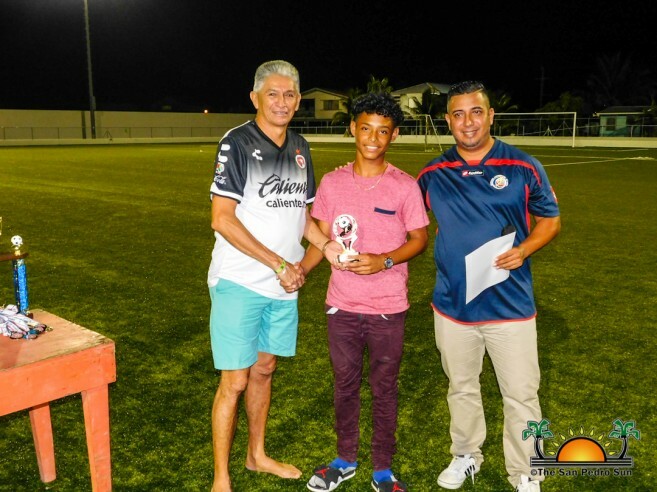 In the U-15 category, the “Best Goalkeeper” award went to Ermis Morales from Los Catrachitos. 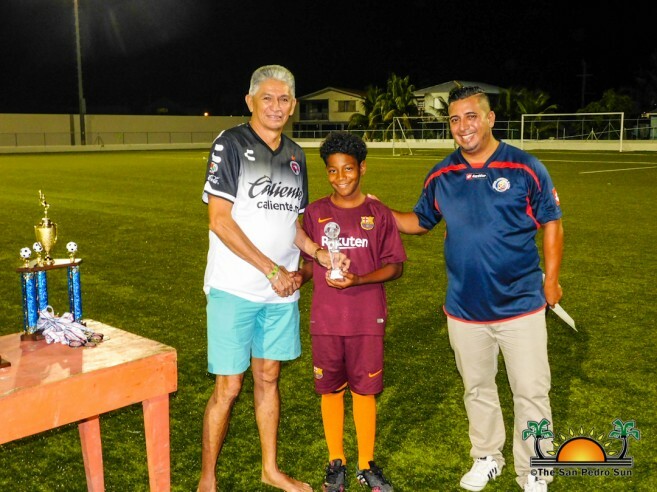 The “Most Goals” award went to Atletico Madrid Harold Ramos. 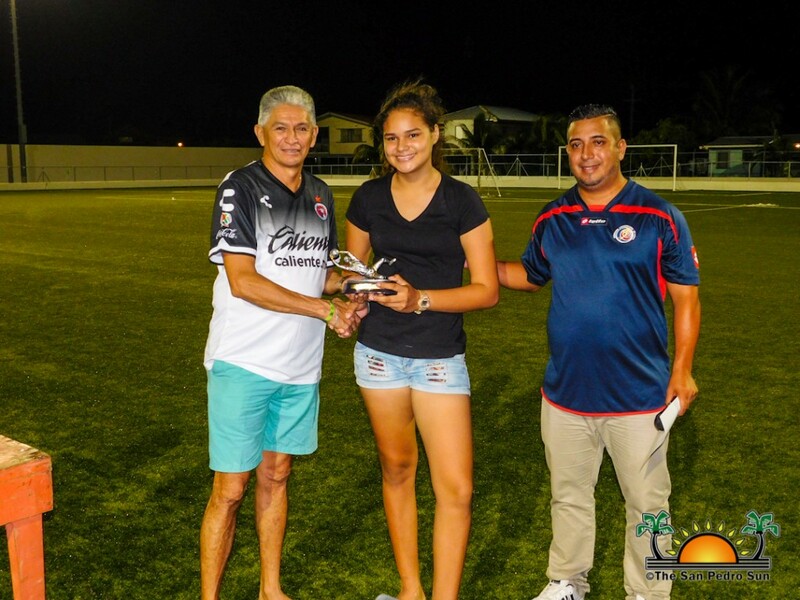 In the female category, the “Best Goalkeeper” went to Denise Mairena from the San Pedro High School team. 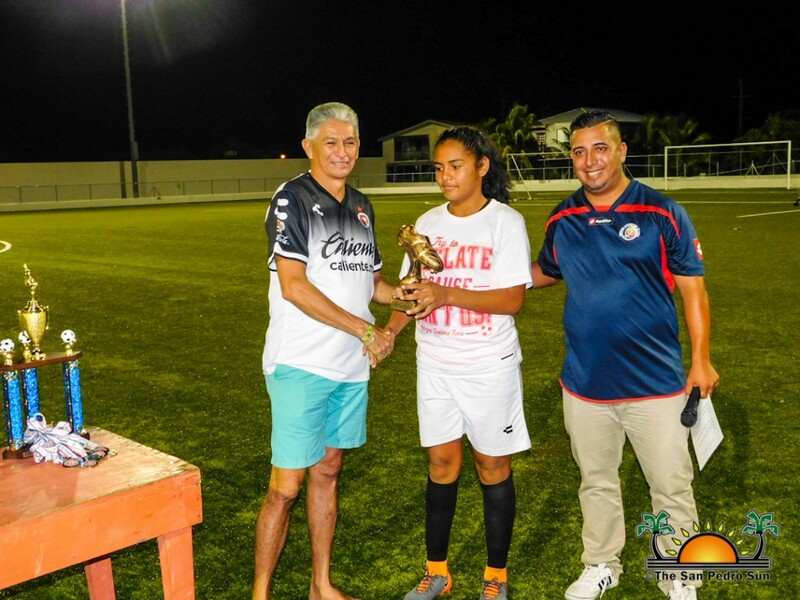 “Most Goals” went to Kaite Jones from Ambergris Combined Force. The most prestigious award of the night, the “Best Puskas Award” went to Kayden West from the San Mateo F.C in the U-13 category, who scored the most beautiful goal in the entire tournament. 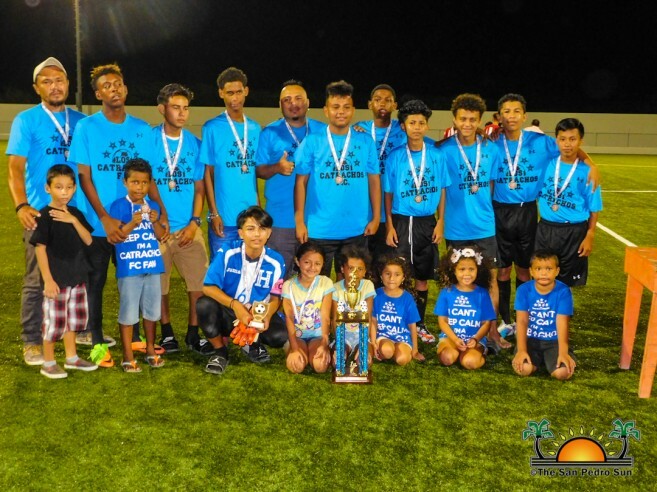 Organizers of the football tournament would like to thank all the participants who made the 9-A-Side football tournament a success!